So far we’ve done 7 signs, but unfortunately I don’t have pictures of all of them yet. I had to take pictures of Pisces because this has been my absolute favorite one yet. My model’s name was Lillian and she was an absolute trooper. 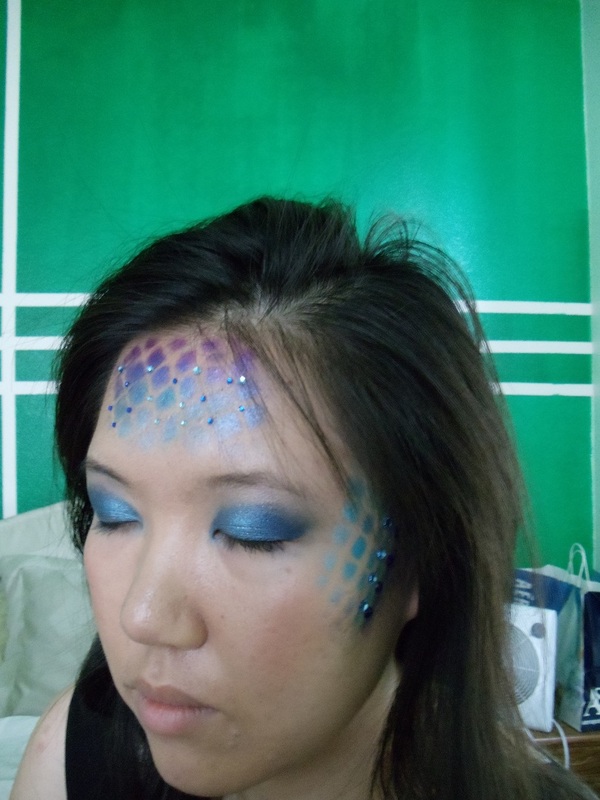 Since pisces is a fish, I wanted to give her some really pretty scales. We had to get a little creative and use a tennis racquet to get the shape we wanted. 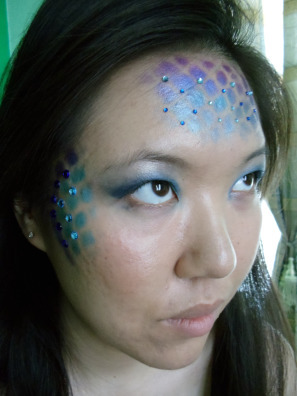 For her scales, I used blues, purples, and green from my 88 Ultra Shimmer Palette. The rhinestone I found at Michael’s for like 2 dollars. I had hella fun doing this look, and I hope you all enjoy it.